As part of Knowsley’s multi-agency working, including Knowsley Council, Merseyside Police, Mersey Fire and Rescue Service, Registered Providers of Social Housing and Knowsley Youth Mutual, to raise awareness of and prevent knife crime, the council has invested in knife wands. 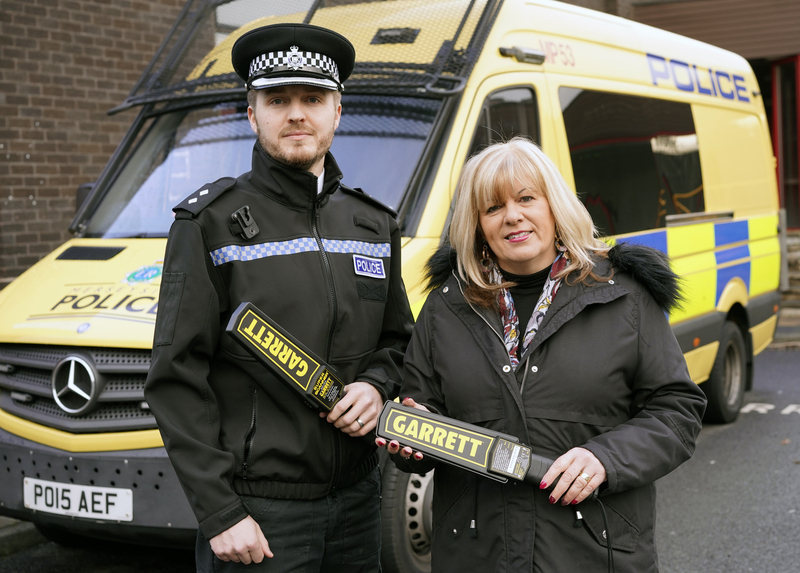 The wands will be used by the Local Policing team in Knowsley, particularly during licensing enforcement visits across the borough, as well as during day-to-day activities, when carrying out stop checks and as part of school engagement visits. This latest initiative is part of the council’s on-going work to support the knife crime campaign, which includes raising awareness of the issues as well as reducing the number of knife crime incidents. * If you get caught with a knife, you could face a prison sentence of up to five years – that’s just for carrying a knife. * If you hurt someone with a knife, your sentence will be much longer. * If you do get caught and sent to prison, the impact isn’t just on you, but also your family and friends. Have you thought about how they would cope without you being around? * If you get convicted, you’ll have a criminal record and if you are sentenced for more than 30 months, this stays on your record for life. * You may find it difficult to get a job and criminal records for violence make it harder to get into college or university. * Plus, travel may be restricted as many countries don’t allow people into their country is they have a criminal record – even if you’re just going on holiday. * It is an offence to sell a knife to anyone under the age of 18 and buying a knife for someone under 18 is an offence. Anyone with any information about knife crime or if you know someone who is carrying a knife please contact Crimestoppers, anonymously, on 0800 555 111 or report it online crimestoppers-uk.org/give-information/forms/pre-form.